Preliminary results of the basic income experiment, which Finish government implemented in 2017-2018, will be presented at Säätytalo, “House of the Estates” (Snellmaninkatu 9-11, Helsinki), on Friday, 8th February 2019, between 8.30 and 10.30 (time in Helsinki, GMT +2). The event will be also webstreamed here. 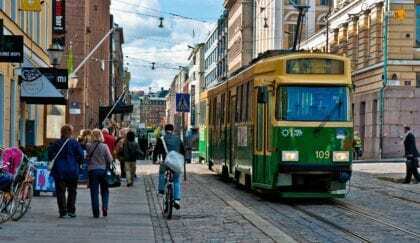 Photo: Tram street in Helsinki, CC BY-NC-SA 2.0, City Clock Magazine.